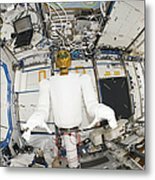 There are no comments for A Humanoid Robot In The Destiny. Click here to post the first comment. 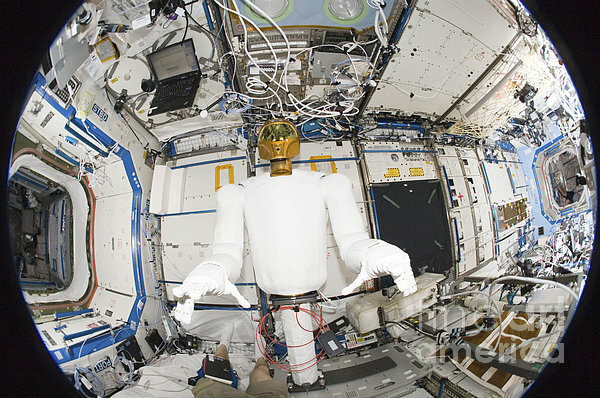 March 13, 2012 - A fisheye lens attached to an electronic still camera was used to capture this image of Robonaut 2 humanoid robot during another system checkout in the Destiny laboratory of the International Space Station. Teams on the ground commanded Robonaut through a series of dexterity tests as it spelled out, Hello World, in sign language.